PlayGround Blog: PlayGround's Apr 3 Gala Lineup! PlayGround's Apr 3 Gala Lineup! PlayGround has announced the line-up for the 2017 Gala fundraiser taking place on Monday, April 3 at A.C.T.’s Strand Theater: America’s most produced living playwright this season, Lauren Gunderson (“I and You”), will join PlayGround Artistic Director Jim Kleinmann and Event Honorary Co-Chairs Fred M. Levin and Nancy Livingston to celebrate the Bay Area’s best new playwrights. The evening features a reception and silent auction, private dinner and “fireside chat” with Gunderson, and presentation of the 2017 PlayGround Playwright Awards. A special treat at this year’s event will be the live auction of a pair of coveted “Hamilton” tickets for the upcoming Broadway tour at the Orpheum. Tickets are $300-$1,000 and all proceeds benefit PlayGround’s award-winning new play incubator programs and newly-renovated Potrero Stage: PlayGround Center for New Plays. For tickets and more information, visit http://playground-sf.org/benefit. 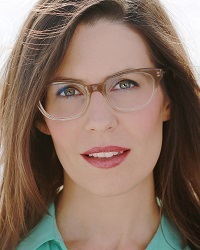 Lauren M. Gunderson is the most produced living playwright in America of 2016-17, the winner of the Dramatist Guild’s Lanford Wilson Award and the American Theatre Critics Association’s Steinberg New Play Award, a finalist for the Susan Smith Blackburn Prize and John Gassner Award for Playwriting, and a recipient of the Mellon Foundation’s 3-Year Residency with Marin Theatre Company. She studied Southern Literature and Drama at Emory University, and Dramatic Writing at NYU’s Tisch School where she was a Reynolds Fellow in Social Entrepreneurship. Her work has been commissioned, produced and developed at companies across the US including South Cost Rep (Emilie, Silent Sky), The Kennedy Center (The Amazing Adventures of Dr. Wonderful And Her Dog! ), The O’Neill, The Denver Center, San Francisco Playhouse, Marin Theatre, Synchronicity, Olney Theatre, Berkeley Rep, Shotgun Players, TheatreWorks, Crowded Fire and more. She co-authored Miss Bennet: Christmas at Pemberley with Margot Melcon. Her work is published at Playscripts (I and You, Exit Pursued By A Bear, The Taming, and Toil And Trouble), Dramatists (Silent Sky, Bauer, Miss Bennet) and Samuel French (Emilie). Her picture book "Dr Wonderful: Blast Off to the Moon!" will be released from Two Lions / Amazon in May 2017. All tickets include access to a reception and silent auction, seated dinner, and “fireside chat”.